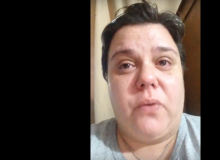 Patricia Tagliaferri denounced the terrible situation in Venezuela and is now receiving threats. 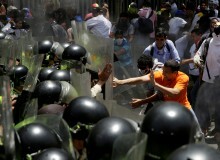 Venezuelan riot police confronted anti-government protestors, injuring at least nine, trying to prevent their arrival to the National Assembly building. 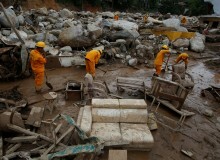 Death and injury toll rises after a landslide in the city of Mocoa, Putumayo in Colombia. The deadly avalanche is the worst catastrophe in the history of the city. 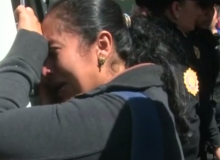 Gladys Gris González is victim of public humiliation for allegedly being involved with a married man. 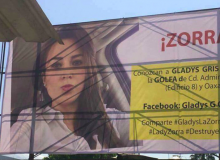 Her picture and other information were shared on an giant billboard in Mexico. 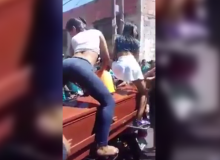 In Caracas, Venezuela a group of young girls provoked indignation after they climbed on top of a casket to dance Reggaeton. 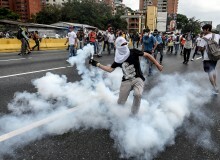 Venezuela is facing a humanitarian crisis. 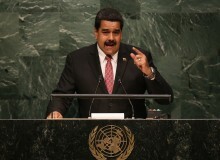 Food shortages, skyrocketing inflation and a plummeting currency are just a few issues that caused Venezuela to become a "Failing State." According to authorities a teenager set fire to mattresses in the girls' dormitory as a protest. 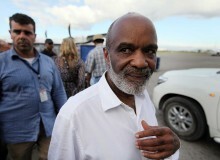 The flames quickly spread through the shelter killing more than 30 people. 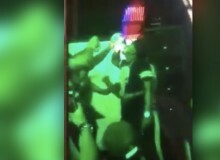 A 23-year-old Dominican man died after a tequila drinking competition. He chugged a whole bottle to win a little over US$600. 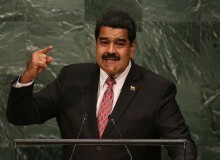 Nicolás Maduro has been declared absent of his charge of President Of Venezuela.